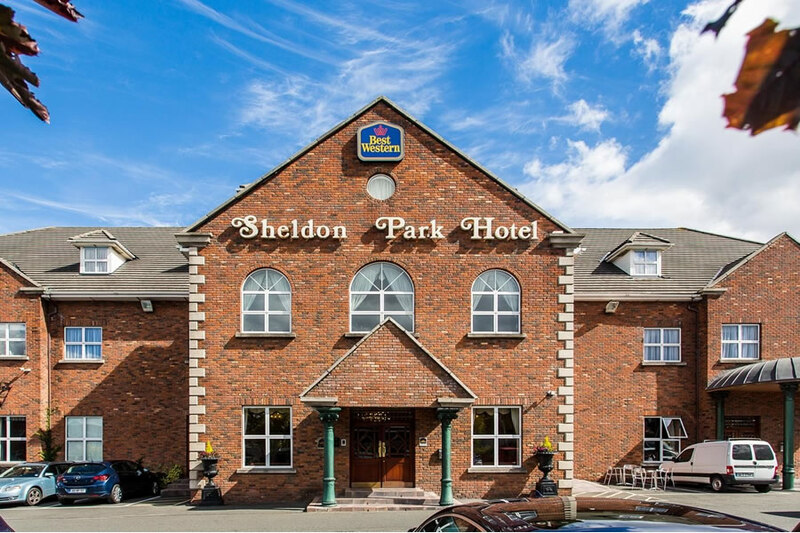 The Best Western Sheldon Park Hotel, Dublin, is 15 minutes drive west of the city centre and a few minutes drive from the Bluebell and Western Industrial Estates. Also 5 minutes drive from the M50, which links the hotel to the airport. The hotel is also on the LUAS (light rail) to the city center. The Best Western Sheldon Park Hotel has great leisure facilities including an indoor pool. From the M50 southbound and northbound: Take the N7 exit for the Naas Road and Inchicore which will immediately take you to the Red Cow round about. Follow the direction for city centre and go as far as the McDonalds building on your left hand side and take a left, drive straight on and we are to the right after the first set of traffic lights. TheBest Western Sheldon Park hotel is perfectly convenient for corporate guests working in the area and Leisure guests wishing to visit the capital. Also accessible from the M50 and all major routes of Ireland. The staff were lovely, very helpful and knew the area and surrounding area really well. The room was well heated and clean, my daughter really enjoyed the pool, I enjoyed the steam room & sauna. It was well located close to the bus stop & luaus. The staff in the restaurant were really friendly and the food was good. The breakfast was great and they staff were really nice and accommodating. I must say that our stay in the Best Western Sheldon Park was excellent and could not be faulted. The room was lovely, the food was very good and all the staff were very friendly and helpful. Thank you for making our stay most enjoyable. Lovely hotel, reception and bar staff very helpful and friendly, I booked the family room, and it was by far the largest family room I have ever stayed in, we had a huge room with two double beds at one side, and two single beds over the opposite side of the room, with loads of space in between, so we weren't cramped or on top of each other, which often happens in family rooms! We had breakfast and dinner included in our rate, but didn't actually avail of the dinner, as we were going to the cinema so we opted instead to collect two large pizzas at 11 p.m. instead, which were lovely (didn't think they were worth €15 each mind you) the breakfast was standard fare, not alot of fresh fruit to choose from, but the cooked breakfast was lovely, hot and fresh, and there was no shortage of tea/coffee/juices etc. all in all, a nice hotel, a quiet room, and pleasant staff. I would stay here again. Stayed for 3 nights recently with 2 kids. Found the hotel very good, excellent food and staff very friendly. Would consider staying again. Brilliant pool. Staff were very courteous. Good Hotel. Room a bit cramped. Room lighting very good. Very good bed. Excellent staff. Excellent breakfast on a heated plate. Room very clean and comfortable. Reception staff very friendly and helpful. Enjoyed the leisure centre. Evening meal very good and reasonably priced. Very good selection for breakfast. Will definitly return. Very noisy the first night even though we requested a quiet room. Right above wedding reception! Staff were friendly. Room spacious and clean. Would stay again if guaranteed a good nights sleep! We had a great time very near to the lucas . The family room are big. We had dinner one evening in the bar very nice. Pool is lovely kids love it they spent 3 hours in the pool . The staff are nice any friendly . It was my sons 9 th birthday we went out to dinner and we had forgot to bring the cake with us so we went into the bar they gave us plates and lit the candle for us and we had drinks and eat the cake . Breakfast was okay , coffee not the best but they only charged us for one child for breakfast . Will go back and stay in this hotel again . Very clean hotel . The best short break we've ever taken. The hotel was easy to access, just off the N7 and it had plenty of free parking. It was 2 minutes walk to the Luas and bus stops. 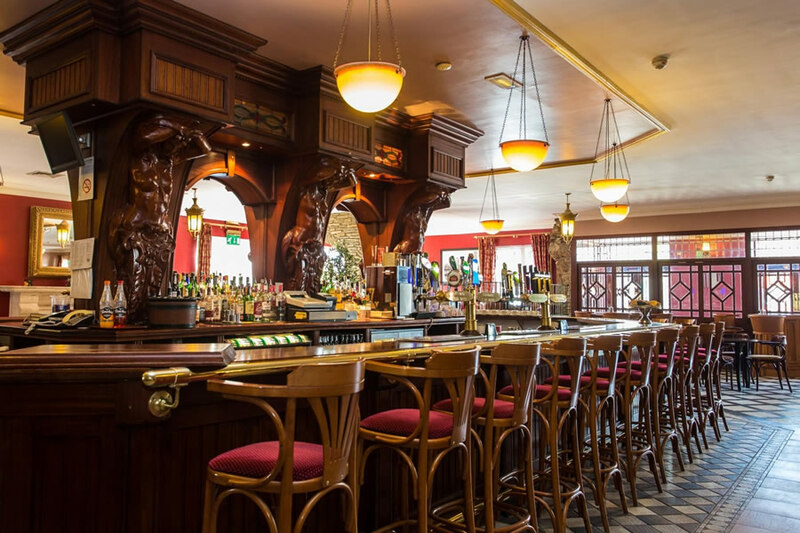 Great for quiet time after shopping or visiting the many Dublin attractions. We went to the Museum of Modern Art in Kilmanham which was only 10 minute away. The food was of a very high standard and good value. My husband says the Guinness is the best outside of the brewery. The staff were great and couldn't do enough for us. Our room was very large with everything we could ask for and the bathroom was spacious. Everything was spotless and it was obvious that there's a high standard of maintenance. We used the Leisure Centre swimming pool and steam room next door and it too was well above the normal standards. We particularly liked the various seating areas in the pool. We could fault nothing and it certainly lived up to the "Best" in it's name. We'll be back and will be recommending it to all our family and friends. Nice, relaxing, comfortable hotel. Although the WIFI quality was poor but unsure if that was from the heat or hotel. Very enjoyable stay, have been there a few times. Staff very friendly and helpful. Food wonderful, we look forward to our next stay. booked 2 rooms here recently - thoroughly enjoyed our stay! The hotel is very close to a Luas stop - literally 3 min walk. There is also a McDonalds very nearby. We found the hotel to be one of the cleanest we have ever stayed in! The staff were very friendly and helpful - check in and out was very speedy. Enjoyed breakfast very much. Beds were super comfortable! We will definitely stay here again! A great base for exploring Dublin. We really enjoyed our stay in the Sheldon Park hotel. The staff were very friendly esp the kitchen and bar staff who served us food even tho' we were late arriving. The family room is very spacious. We love the swimming pool. And it is a great location, close to the M 50 and the luas line. Thanks to all for our lovely (short) stay. location was good, pool was lovely and room was very spacious. however the food was very poor, dinner from the bar and the breakfasts both moring was disgusting. as a result would not stay there again. The Hotel and facilities are excellent. The staff are friendly and helpfull, the food is excellent and there is a large car park attached to the hotel. Transport link to the center of Dublin using the Luas tram service is only a few minutes to the nearest stop and the service is very frequent, no need to use the car. . Stayed for 3 nights, The hotel was very clean and comfortable. Leisure center very nice. Will book this hotel again. Great location, near luas. 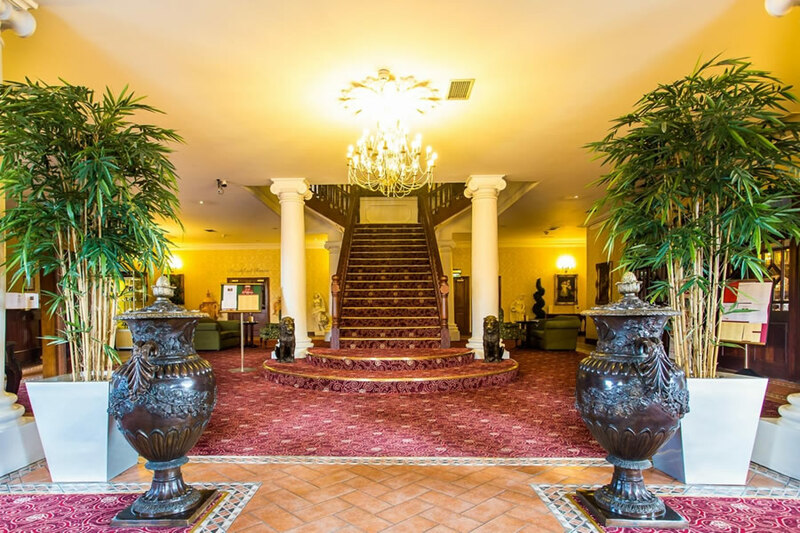 Nice hotel, great location with short walking distance to the Luas, rooms are clean and comfortable, staff are genuinely friendly and always say hello when passing in hallways. The food in the bar was lovely BUT a major downfall is the poor service in the bar. We had to go up to the bar to ask if could order food after a long wait sitting at a table. It still took a long time for someone to take our order, it took a long time to get our food, and then when we finished, nobody came to take our plates. We were going to order dessert and coffees, but we were afraid how long it would have taken to order, and then to get these. Disgraceful. I may stay there again but I will not be eating there. Hotel was near to everything staff lovely rooms very nice Because we stayed on a Saturday night the music in the bar was very very loud as I had z young child with me I didn't tthink the room was suitable was it felt like we were in the bar with the band. When we rang recepion at 1am and the music stopped soon after. Breakfast was ok but just lukewarm as it looked like it was standing for a while I would use this hotel again but would ask for a room near the leisure side. I booked this hotel on a B&B and dinner deal. I had stayed there previously and thought the hotel was nice. It is and the staff are very pleasent. That evening we went to the attached pub for dinner. You can eat either in the pub or the small dining room attached. We choose to eat in the dining room as there was football being shown in the bar part. The menu is a different menu to normal for those on the BB and dinner deal. The service was terrible. The meal, when it did arrive, was mediocre in the extreme. We ordered desert but, having been there for an hour and fifteen minutes and still no sign of the desert, we could wait no longer and left. I should point out that while we were sitting there waiting for the various courses to be served the waiting staff were busy serving food in the bar. I would stay in the hotel again but would keep well away from the resteraunt. Stayed at hotel in early January and would not stay again or recommend to friends or family. Attitude of reception staff was appalling,we had left credit card at home and were paying in cash on arrival, the receptionist wanted another €100 deposit which was to be refunded at end of stay. We explained that we would have to go to a pass machine and would do so as soon as we freshened up, she did not accept this and would not check us in despite the fact we had at this stage paid the full price of our stay.We sat in reception for 30 minutes waiting to speak to a manager,eventually the matter was resolved but not without a long disscusion with a very unhelpful person. So if you are going to stay make sure you bring your credit card or plenty of cash so they can be sure they get their money and they might then give you a room. This incident should have been avoided, it certainly spoilt our stay, customer services training at reception badly needed. Stayed at the Best Western Sheldon Park on Saturday night before Irl./Wales match. We enjoyed the pool, despite over active teenagers who broke the lane rope. Bar food was excellent with good service. Room clean and comfortable, however after midnight the noise level in corridors was disturbing. Overall it was an excellent value for money stay and would like to visit again. Just back from staying at the best western for 3 nights and i could not complain about it. The rooms were good size with 1 double and 2 single beds. Very clean. the swimming pool was lovely and warm and had a small kids pool which was great for my 2 year old. Food in the bar was lovely and breakfast was lovely also. Very happy with our two night stay. Convenient location. My partner and I stayed at the hotel over the Easter weekend for my birthday treat. We wanted to enjoy a quiet celebration in our room but when we rang down for room service, were told we had to fetch glasses and ice from the bar ourselves. When we did so we were served with very frosty coolness from the Bar Manager. Also, later that night when we were in the Bar enjoying the entertainment, we were waiting for around 15 minutes, at the Bar, before being served. The next day we discovered that our Pass Cards would not open the door to our room when we arrived back in and we were left waiting outside our room for around 15 - 20 minutes while this was sorted. Its fair to say that we were disgusted by the service and attitude of the staff that we came in contact with especially when they were extremely unbending when it came to reflecting our grievances in the bill. This is not a hotel we will be visiting again and not one I would recommend to any of my friends and colleagues. Pleasant staff, close to the Luas, cold swimming pool and loud music until 12.30am on the Saturday night. Overall 4/5.